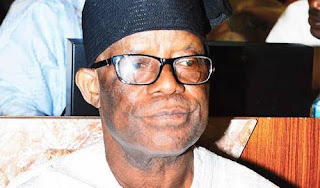 The Special Assistant to the Minister of State for Niger Delta Affairs, Professor Claudius Daramola, Nathaniel Adojutelegan, has surrendered his course of action over one year unpaid pay rates. 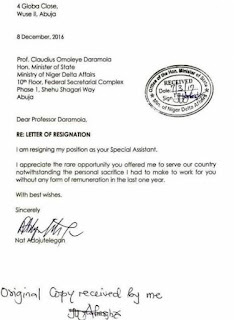 The Ministerial partner offered his letter of abandonment in December a year prior however was gotten by the Ministry similarly starting late. In his letter, Adojutelegan communicated that he was leaving over the misconduct of his pay by the State Minister for a period of one year.